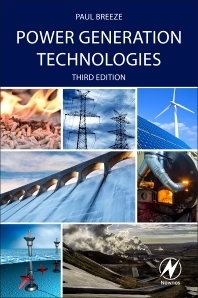 This revised third edition of Power Generation Technologies explores even more renewable technologies in detail, from traditional fossil fuels and the more established alternatives such as wind and solar power, to emerging renewables such as biomass and geothermal energy. The book also features new expanded chapters on tidal project proposals, tidal bunds, enhanced geothermal technology, fast-moving areas in marine energy and the development of floating wind turbines. Power Generation Technologies is more than just an account of the technologies – for each method the author explores the economic and environmental costs and risk factors. Each technology is covered using the same basic criteria, so that comparisons between technologies can be made more easily. Those who are involved in planning and delivering energy, including engineers, managers and policy makers, will find a guide through the minefield of maintaining a reliable power supply, meeting targets on greenhouse gas emissions, and addressing economic and social objectives in this book.